Pamela Geller’s blog, Atlas Shrugged, is a go-to resource for reports about and analyses of radical Islamic issues and events. 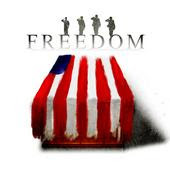 However, today, she posted a remarkable photo essay to commemorate American troops who lost their lives and are buried overseas. It’s a sobering tribute, and it's in stark contrast to President Obama’s most recent apology tour in Japan yesterday (link is to John Bolton's commentary on the President's visit to Hiroshima). Geller’s first photo (above) is captioned: “The Lorraine American Cemetery and Memorial in France covers 113.5 acres and contains the largest number of graves of our military dead of World War II.” Spend some time this weekend with the photos and captions she posted. Why isn’t Ohio one of them? Alison Gill, the vice chair of the Trans United Fund, a political advocacy group, said the states' challenge did not reflect the position of most school boards and administrators, who have come out in favor of the administration's order. "This action puts students at risk for the sake of politics," Gill said. Arizona Attorney General Mark Brnovich said, "President Obama has no business setting locker room and restroom policies for our schools." "School policies should be determined by individual states, educators and parents - not dictated by a presidential decree," added West Virginia Attorney General Patrick Morrisey. Read the rest here. 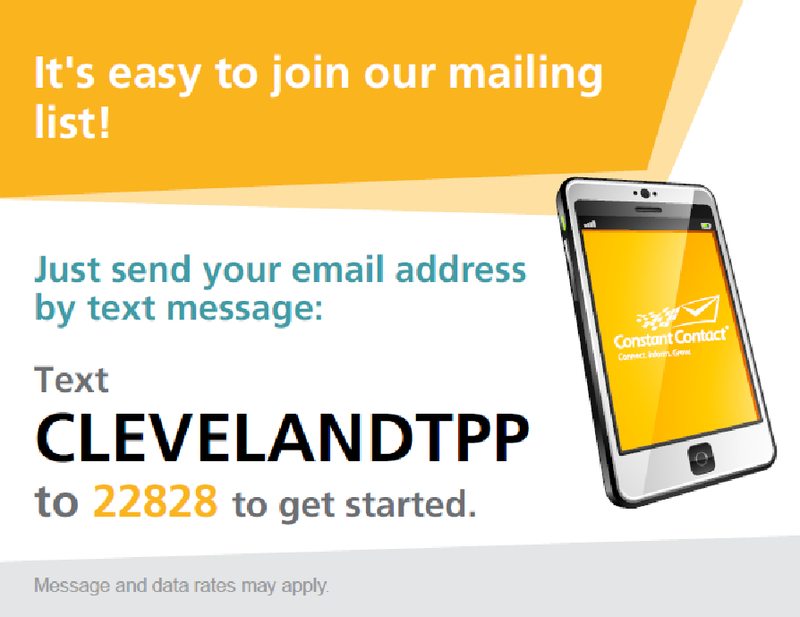 Email Gov. John Kasich (the son of a mailman) here. 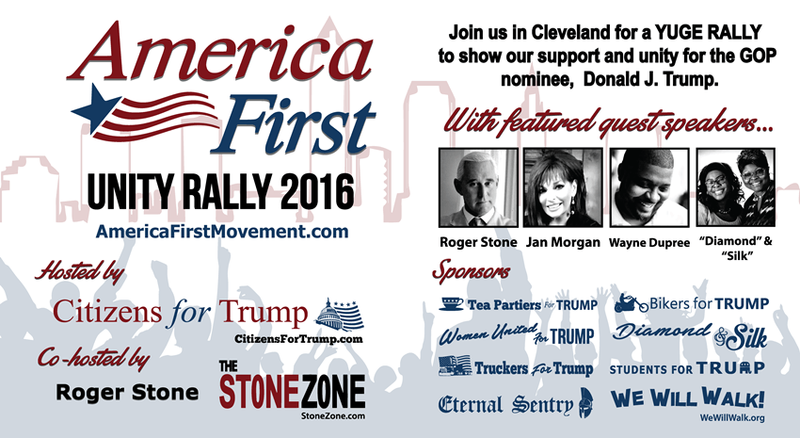 Paid protests coming to Cleveland? Conservative Treehouse posted this Astroturf flyer that recruited protesters to disrupt the Albequerque Trump rally yesterday. Gateway Pundit has a report of the violence with photos here and video here. Ugly. Branson, MO: Today at the Missouri Republican State Convention in Branson, Phyllis Schlafly, founder and chairman of Eagle Forum, was elected as a national delegate to the Republican National Convention in Cleveland, Ohio. Phyllis has participated in every convention since 1952. Good to see Ms. Schlafly is still chairman of Eagle Forum, after the recent attempted coup. NumbersUSA tracks legislation, executive orders, developments, and issues concerning immigration laws and enforcement. I thought I would share their lead story from today’s depressing newsletter. The days of Pres. Obama being called the "Deporter-in-Chief" are long over. Overall removals are way down and removals of illegal aliens from the interior by Immigration Customs and Enforcement (ICE) agents are down 70% from the early years of the Administration. A Senate panel heard the answer Thursday from Thomas Homan, Executive Associate Director for ICE's Enforcement And Removal Operations. He said the decline is a result of both the Administration's executive actions issued in 2012 and 2014 and the existence of sanctuary jurisdictions. "There are a number of reasons why the numbers are down," Homan said and listed them. "Jurisdictions not honoring my detainers"
"The Trust Act [2013 California law limiting holds on illegal aliens]"
"In 2012, John Morton, the Assistant Secretary of ICE, issued a policy in who we issue detainers on. Virtually took Level 3s off the table. This is a law-abiding society, so most crimes are Level 3." " Executive actions. Executive actions have narrowed my target pool down." Then, there was this exchange between Sen. Jeff Sessions (R-Ala.) and Homan. SESSIONS: Isn't it true that ICE gets calls every single day from police officers all across America that are not Sanctuary Cities and you're not responding to them because they don't meet the guidelines or the priorities established by the President? SESSIONS: So it's not true then that the reason your numbers are down is because you don't have people to deport. You have them to deport, but you have policies that tell you not to deport whole categories that are here unlawfully. Isn't that correct? HOMAN: That's a factor, yes sir. Homan made it a point to praise the men and women of ICE, and their commitment to the "mission". Of course, he's not allowed to comment on his opinion of Pres. Obama's policies, so we don't know where he, a career ICE agent stands, but morale among ICE agents is among the lowest of all federal employees, which would lead one to believe that the agents don't necessarily agree with the Administration's policies. Border Patrol Union President Brandon Judd also testified and shed further light on the Administration's policies, specifically its catch-and-release policies. According to Judd, the Border Patrol releases almost every illegal alien it comes into contact with -- even if the alien has a criminal history. "The second part of the catch-and-release program is releasing people without NTAs [Notices to Appear]. This is actually the most disconcerting part. We can actually arrest somebody with an actual criminal arrest record here in the United States, and if it does not meet these priority guidelines, we have to walk them out the door if they've been here since, if they claim to have been here (his emphasis), since January of 2014, we have to walk them out our door. And we don't even issue them an NTA. In effect, we're saying stay in the country as long as you want." Judd went on to say that anyone caught crossing the border illegally who is not from Mexico is released by the Border Patrol and that approximately 80% of Mexicans who are caught crossing the border illegally are released. Again, all of this is not a reflection on the men and women of the Border Patrol or of Immigration and Customs Enforcement. It's all under the direction of the Obama Administration. Civil Rights icon and Chair of the last bipartisan Commission on Immigration, Barbara Jordan, once told Congress, "Credibility in immigration policy can be summed up in one sentence: those who should get in, get in; those who should be kept out, are kept out; and those who should not be here will be required to leave." The Obama Administration has sent a message to the world that unless you're convicted of a violent crime, you'll never be required to leave. Maybe Rep. Paul Ryan can put a stop to this.s/o Anyway, the NumbersUSA website is here. 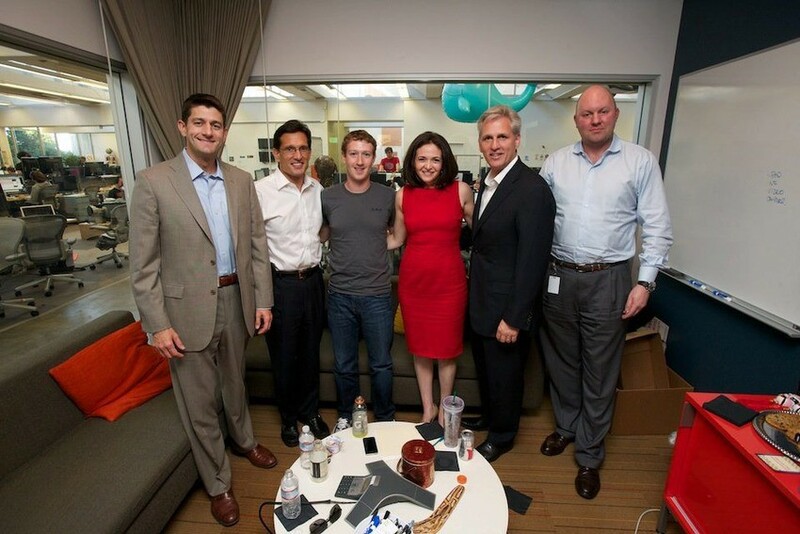 Facebook CEO Mark Zuckerberg met with a range of establishment conservatives in Silicon Valley on Wednesday to discuss the reported suppression of conservative content. Representatives from Breitbart were asked to attend but declined the invitation, as did American Conservative Union Chairman Matt Schlapp. While Breitbart is not entirely free of bias itself (see here and here), its report today expressed a viewpoint that, if indeed embraced by Breitbart, that most conservatives would share. We do not want, nor do we need, Facebook’s corporate “validation.” We understand algorithms. Our social media team works relentlessly each day using state of the art analytics to monitor and leverage Facebook traffic. We strive for excellence, and we do not need Facebook’s condescension. Bottom line: be interviewed by Milo and stop screwing conservatives. Free speech is not for sale, and neither are we. But look at some of the names on the list of “Vichy” conservatives who DID meet with Zuckerberg. I now expect names like Bozell, Beck, and Perino on the list. But it is more than a bit alarming to this Tea Party patriot (small case “p” for patriot is deliberate) that Jenny Beth Martin is on the list. She is not keeping good company these days. And why is she now listed as the “CEO” of Tea Party Patriots, originally organized as a grassroots bottom-up loose organization of disparate Tea Party groups across the country. 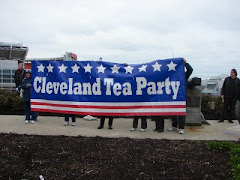 Cleveland Tea Party does not answer to a CEO. From a philosophical standpoint, we are closer to the Breitbart position quoted above. This meeting was all about damage control. Once again Sundance exposes the charade. When it comes to public employee unions, there’s no such thing as a coincidence. 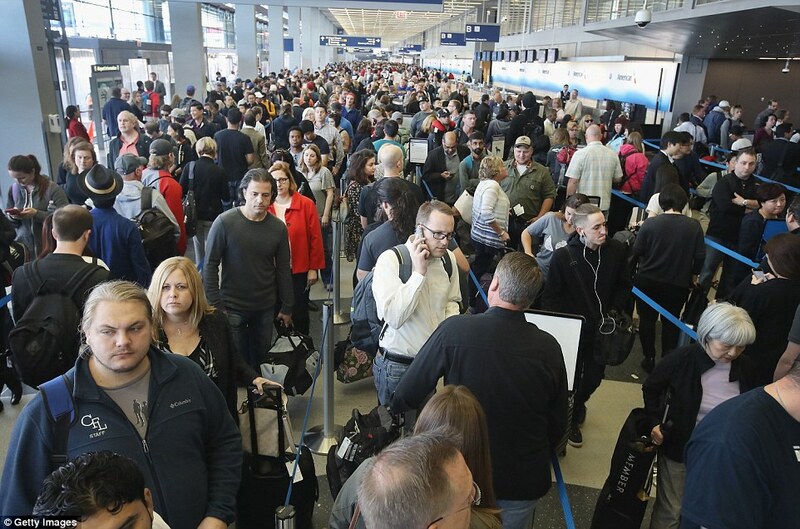 The 15-year-old Transportation Security Administration now has a massive annual budget of nearly $7.6 billion and a workforce of nearly 60,000. They had enough tax dollars to waste on an idiotic $1.4 million iPad app that randomly points left or right; $3 million on more than 200 useless explosive detection “puffer” machines that didn’t detect explosives reliably; and unknown gobs in awards and automatic bonuses to senior TSA managers at a time when the agency was repeatedly failing internal tests of its ability to stop weapons, bombs and terror threats. It’s still not enough of course. It’s never enough. TSA union leaders hungry for new members and fattened coffers don’t care about your security. This is all about control and money. Multiply 55,000 by $50/month in mandatory union dues and — voila! — they’ll have $33 million a year to shower on politicians who’ll do their bidding. Against the odds, campaigners for Brexit are winning the argument on leaving the European Union (EU). At the London premiere of Martin Durkin’s Brexit The Movie – which you can now watch in full here or here – we got an inkling why. Immigration isn’t mentioned once. Not because Durkin has copped out but because he understands that even without drawing attention to the elephant in the room, it’s more than possible to construct a coherent and compelling argument for Brexit. What it boils down to is this: does Britain want to go on being shackled to the sclerotic, anti-democratic, moribund trading bloc that is the European Union or would it rather be liberated to set its own laws, regain its sovereignty and trade freely and profitably with the burgeoning rest-of-the-World economy? Put like that, it’s a no-brainer. To prove his point, Durkin comes up with three paradigmatic models – one of them involving the very country small-minded, xenophobic, racist Brexit types are supposed to loathe: Germany. Specifically, he refers to the Germany of just after the war: the place which, though bombed to rubble emerged from the ashes with extraordinary alacrity to become the world’s third largest economy. What was the cause of this economic miracle, known as the Wirtschaftswunder? Largely, the genius of a man whose name really ought to be better known: Ludwig Erhard, the long-serving Minister of Economics, who understood that the surest way to guarantee economic growth is through a massive programme of deregulation. The easier it is for entrepreneurs to do business, the faster an economy grows and the richer its people grow. (John Cowperthwaite, the last British Financial Secretary to run Hong Kong, worked on similar classical liberal principles). Erhard’s economic liberalism – which many of his colleagues opposed – was in marked contrast to the British post-war policy of state ownership, rationing, regulation, labour restrictions, exchange controls and propping up hidebound, outmoded industries. That’s why Germany’s economy grew even as Britain’s declined. Durkin nails the absurdity of a line you often hear from the Remain camp: that without EU membership Britain just couldn’t compete on the international stage. Yet we could – of course we could, as indeed we once did. Sure if you were unaware of history, you might find it implausible to conceive that a small, rainy island could be one of the world’s economic powerhouses. But that is what Britain demonstrably was – and could be again. We just need to regain our optimism, our self-confidence and get over all that self-loathing in which the English intellectual class has so long specialised. I urge you to see this film. (And not just because I’m the first talking head you see in it). It’s brilliant, inspiring and uplifting. Also it’s free. You can watch the film at the two links above or at the blog here. Supreme Court Justice Clarence Thomas urged college graduates who seek to "preserve liberty" to do so by fulfilling the duties of their daily vocations rather than attempting to achieve sweeping political goals. "At the risk of understating what is necessary to preserve liberty in our form of government, I think more and more than it depends on good citizens, discharging their daily duties in their daily obligations," Thomas said Saturday during a commencement address at Hillsdale College, a small liberal arts college in Michigan. Thomas lamented various aspects of contemporary society, especially with regard to colleges and universities. He diagnosed what he regards as a contemporary tendency to take pride in having "grievances rather than personal conduct" and to focus on individual rights as citizens, rather than responsibilities. "Hallmarks of my youth such as patriotism and religion seem more like outliers, if not afterthoughts," Thomas said. He added, "Do not hide your faith and your beliefs under a bushel basket, especially in this world that seems to have gone mad with political correctness." But the speech had a personal emphasis, in content and delivery; he remembered of the late Justice Antonin Scalia's kindness to him "when it mattered most" — a reference to his confirmation to the high court following the Anita Hill controversy — and spoke briefly to each graduate as they received their diploma. Hillsdale has a reputation as a "citadel of American conservatism,"with an outpost in Washington, D.C., that Thomas's wife Ginni helped to establish when she was an associate vice president at the college. Thomas discouraged the audience from prioritizing government service and trying to "change the world" over other work. "I resist what seems to be some formulaic or standard fare at commencement exercises, some broad complaint about societal injustice and at least one exhortation to the young graduates to go out and solve the stated problem or otherwise to change the world," he said. "Having been where you are, I think it is hard enough for you to solve your own problems, not to mention those problems that often seem to defy solution. In addressing your own obligations and responsibilities in the right way, you actually help to ensure our liberty and our form of government." Thomas said he learned this from his grandfather, who taught him to revere "duty, honor [and] country" even though he was raised in a racially-segregated society. "He knew that though not nearly perfect, our constitutional ideals were perfectible if we worked to protect them rather than to undermine them," the justice said. "Don't discard that which is precious along with that which is tainted." Thomas concluded by telling the graduates to thank their families and teachers — "these are the people who have shown you how to sacrifice for those they love, even when that sacrifice is not always appreciated," he said — and to be kind to those in need. "As you go through life, try to be that person whose actions teach others how to be better people and better citizens," he said. Some years ago, I read My Grandfather’s Son. Inspiring. For those Tea Party people who are distressed that Donald Trump is now the presumptive GOP candidate, there’s an article on the American Spectator website by Don Surber about Trump’s qualifications. The intro and bullet points are extracted below. Click here to read the entire thing. For those who are still hoping that somehow Sen. Cruz still has a chance, perhaps this article will make you less apoplectic. If a year ago someone told me I would be an advocate of Donald Trump, I would have laughed, because everyone knew he was a joke with a toupee. But on August 27, 2015, at a rally in Greenville, South Carolina, when Mary Margaret Bannister pulled his hair, we learned he does not wear a wig. And in researching my upcoming book, Trump The Press, I learned he is no joke. He has developed the leadership skills needed to lead the free world. In December 2014, Peter Economy of Inc. magazine wrote, “The Top 10 Skills Every Great Leader Needs to Succeed.” Trump has them all. 5. Communicates powerfully and prolifically. 7. Displays technical or professional expertise. 8. Displays a strategic perspective. The rest of Surber’s article is here. The photo at the top was deliberate: Take a look at Trump's kids and family. Sen. Ted Cruz’s abrupt suggestion he might reenter the Republican presidential race went up in smoke Tuesday night as he suffered a crushing defeat against Republican presidential candidate Donald Trump in Nebraska’s GOP primary. Cruz suggested if he were to win in Nebraska and saw a “path to victory” at the convention, he would consider restarting his presidential campaign, despite dropping out last week after being beaten badly in Indiana. Such notions were almost immediately crushed in spectacular fashion Tuesday night, as early results showed Trump racking up almost 60 percent of the vote in Nebraska, about 40 percentage points ahead of Cruz at 19.5 percent. Ohio Gov. John Kasich was in third with about 14 percent of the vote. Although no polling was conducted in the state, it was seen as a potential Cruz victory prior to him dropping out. But if Nebraska ever was a Cruz state, it stopped being one the moment he dropped out as GOP voters instead flocked to the party’s presumptive nominee. Cruz also suffered a massive defeat in West Virginia’s primary, though that defeat was more predictable. Nebraska’s 36 delegates are awarded on a winner-take-all basis, meaning Trump will take another big step towards the 1,273 delegates he needs to lock up the Republican nomination on the first ballot. 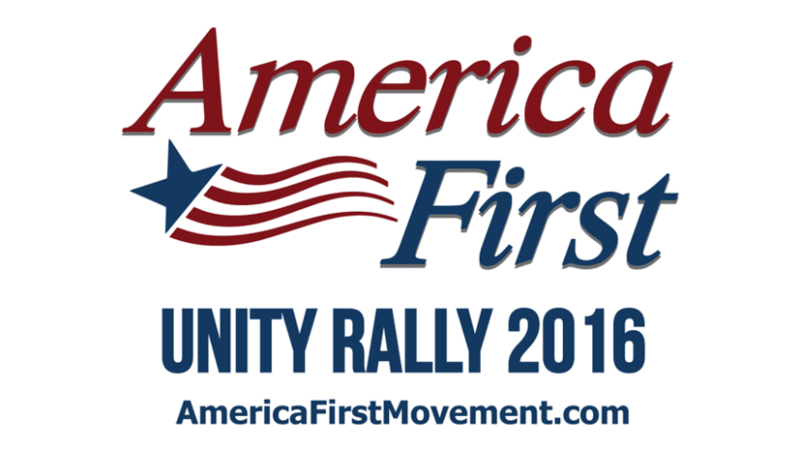 Cleveland, Ohio (July 18th, 2016) – Citizens for Trump grassroots political organization, announces the America First Unity Rally and March to celebrate the nomination of Donald J. Trump as the Republican nominee for President. 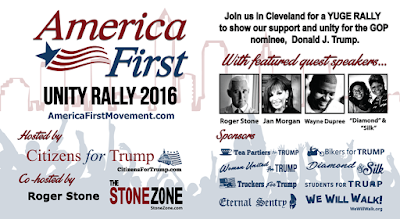 The America First Unity Rally will feature guest speakers Roger Stone who is renowned as a veteran Republican strategist, Jan Morgan who is well known as a national spokesperson on FOX news that advocates for Second Amendment Rights, Wayne Dupree of Conservative Radio fame, Diamond & Silk who have become thrust into the spotlight as strong Trump advocates on their viral YouTube Channel. Following the rally there will be a march from Voinovich Bicentennial Park to the Quicken Loans Arena in downtown Cleveland to show our solidarity for Donald J. Trump. Trump is now the presumptive GOP candidate. He started as a joke candidate. The pundits trashed him from left and right. But, somehow, he resonated with ordinary Americans and gained traction in the polls. National Review, the leading conservative magazine, devoted a complete issue to attacking Trump. He survived that broadside. His GOP competitors spent 10's of millions of dollars on attack ads against him. He spent virtually nothing. He said stupid things, insulted virtually everyone, and still he kept winning. This is actually a unique event in modern American history. No outsider has ever done what Trump has just done. How did he do it? He chose a great campaign slogan and he hammered illegal immigration, bad trade agreements, job losses, and political correctness. He used his media savvy to garner free airtime his opponents could only dream of and he found ways to dominate virtually every media news cycle. He spent virtually nothing on advertising and his whole campaign was run on a shoestring. Jeb Bush blew through $130 million and got nowhere. Bernie Sanders is giving Hillary a run for her money, and he is appealing to people on the left who are disillusioned with "politics as usual." He doesn't have a chance because the system is rigged against outsiders. Hillary picks up pledged delegates that were committed before a vote was cast. Sanders and Trump reflect a general malaise that American people feel. The Federal government is working against us, not for us, and it is costing far too much. By declining to raise their hands when prompted by Fox New anchor Bret Baier, every other candidate on stage that night made a promise to voters: No matter who is nominated, they'd throw their backing behind his or her campaign, and would rule out an independent run. Ironically, that question was crafted specifically for Trump, but now it applies at least as much to moderates like Bush and Kasich as it does to the capricious frontrunner. If you're seeking the Republican nomination, and if you've vowed to endorse and support the Republican nominee, you shouldn't go back on your word -- neither out of genuine frustration and disgust, nor as a campaign tactic. Not only would this be a breach of trust, it would reek of spite. Trump's been smacking Jeb around as a low energy loser for weeks; if the former governor were to follow through on this quasi-threat, Trump could tweak his taunt and cast Bush as a low energy sore loser. Jeb and friends have spent tens of millions of dollars so far, yet the campaign has failed to gain traction with voters (to put it kindly). Reneging on the pledge now would be akin to pouting in the corner -- yet another indignity. Sure, guys like Bush and Kasich could use Trump's odious conduct and controversial proposals as a fig leaf to justify their potential reversals, but that would require them to feign shock that Donald Trump is comporting himself like...Donald Trump has always comported himself. Plus, it would infuriate a large segment of the Republican base, who would accuse the establishment of demanding party unity in support of "safe" nominees, then refusing to abide by the same standard when they don't get their way. Today, The Hill reports that Jeb! has reneged on his pledge. “In November, I will not vote for Donald Trump or Hillary Clinton, but I will support principled conservatives at the state and federal levels, just as I have done my entire life,” Bush wrote in a Facebook post. Jeb! does not seem to have a clue about “conservative” principles, nor why Trump would appeal to conservatives who are sick and tired of “conservative” GOPe legislators who promise conservative values on the campaign trail and embrace the liberal agenda once in office.